On March 4th, “Psychedelia!” brought out over 40 eager prospective artists ready to try their hand at whatever guest artist Judy Csukly had in mind. Under her gentle direction, each participant explored her or his artistic potential. 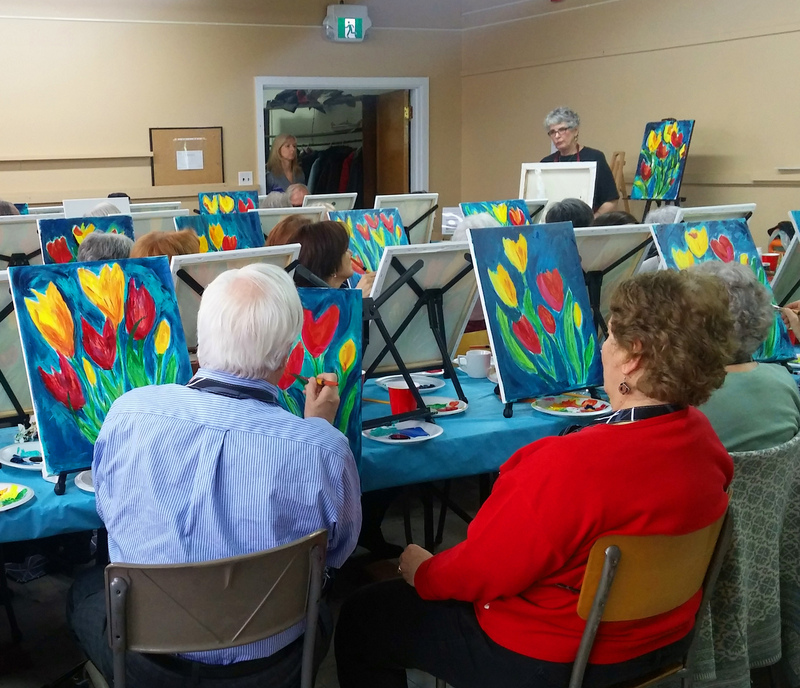 From blank canvas to full bloom, the tulip-themed exercise took just over two hours, time that just seemed to slip away. The easels, paints, brushes, aprons and other details were deftly organized and distributed by our partner, Sandra MacGregor of Fund-Eventz. Coffee, wine and delicious home-made goodies added to the happy ambience. Everyone got to take home their own masterpiece and an itch to try again. Two were lucky winners of signed Judy Csukly paintings.